I remember when our last child was born, how left out dad felt. I wish we would have had something like this when he was a new dad, it would have made him feel more special and give him some of the credit (he got credit for the pain lol). So I am extremely excited for you readers to have a chance to win this giveaway. I want to wish you all good luck! I recently discovered this totally awesome company who gives Daddy’s a moment in the spotlight during the birthing process. They took something simple and created what is now one of the coolest things EVER! 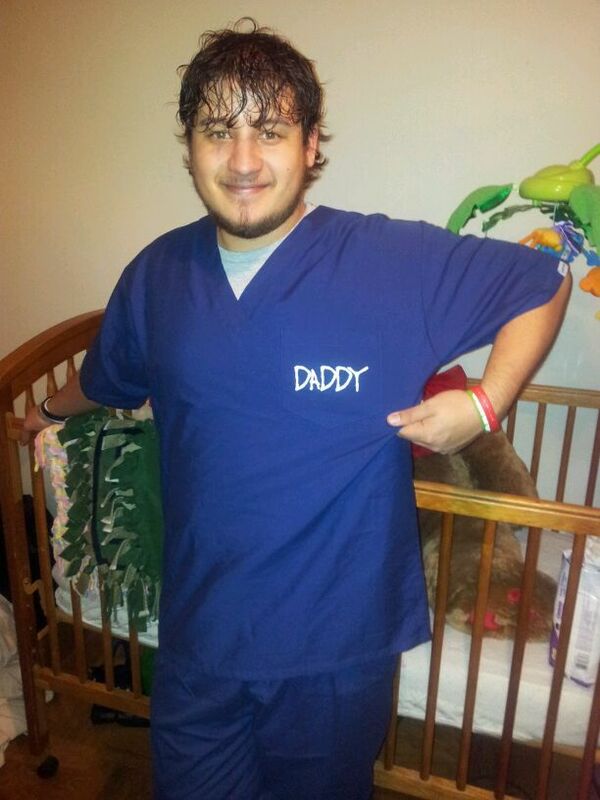 DADDYSCRUBS!! These are the coolest thing in Labor & Delivery since birthing pools! 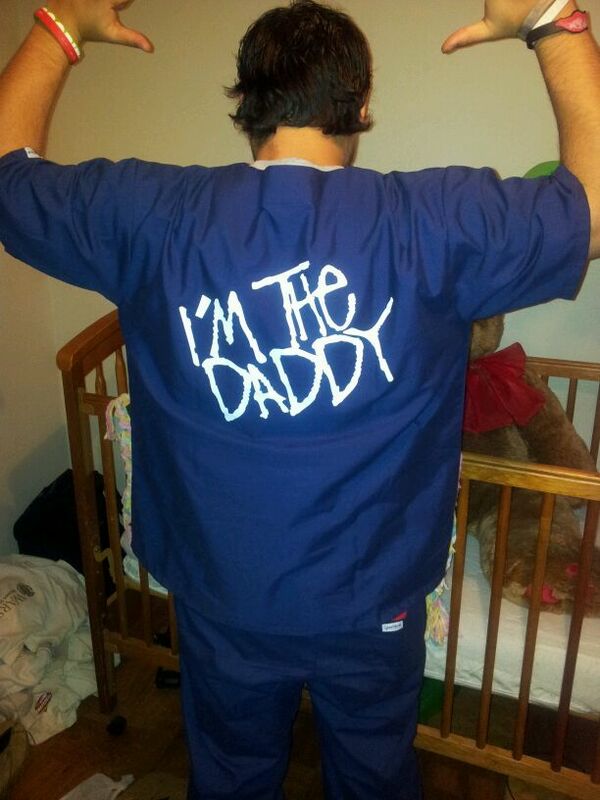 Not only can the Daddy be comfortable while he helps his little lady through the process of giving birth to their precious child but he also gets to walk the halls of Labor & Delivery proudly proclaiming he is the Daddy! I recently was able to get a pair for a friend of mine whose son is due in early April. He was VERY excited to get them and I was excited to see them be such a big hit! As you can see – they are very cool and a fun thing to pick up for the Daddy to Be! AND NOW – I am joining with a few other awesome bloggers to bring YOU a chance to win your own choice of a pair of Daddy Scrubs in the design – color and size you want! This is an AWESOME gift or treat for the Daddy to Be! Disclosure: Must be 18 years or older to enter. Open to US ONLY. 1 Winner will be Chosen. Winner must confirm within 48 hours of being contacted to claim their prize. Winner will be contaOh cted via email provided to Rafflecopter (typically Facebook account email). Prize will be shipped by sponsor. YOUR NAME HERE is not responsible for prize shipment. This giveaway is not associated with Facebook, Twitter, Pinterest or any other social media. Soda Stream Giveaway – Another One!